Reclining Bhuddha / Buda reclinado - Wat Phra Chetuphon - Bangkok - Tailandia: Enorme imagen del Buda reclinado en el monasterio de Wat Po. 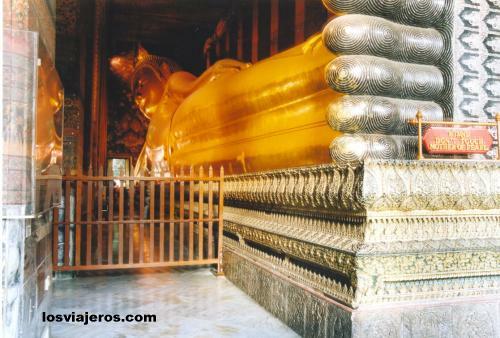 Reclining Bhuddha / Buda reclinado - Wat Phra Chetuphon - Bangkok - Thailand: The hug Buddha image inside Wat Po. Galeria de Fotos de Tailandia: Fotos de varios viajes a Tailandia: Bangkok y algunas playas. Photo Gallery of Thailand: Photos of some trips in Thailand: Bangkok and some beaches..